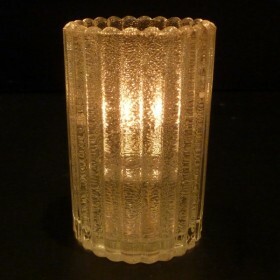 This vertical-ribbed solid glass candle lamp is a simple beauty in any setting. 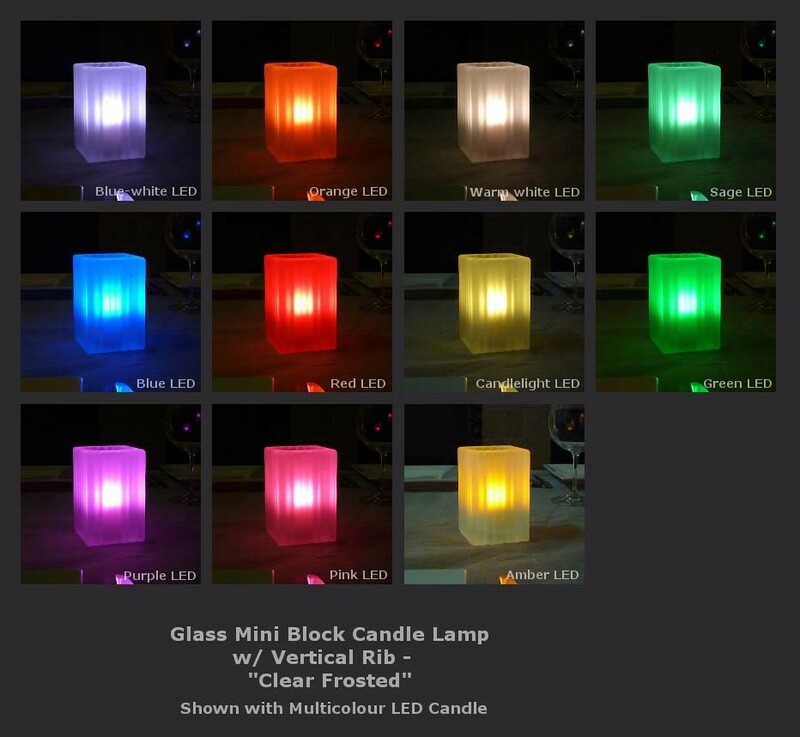 With its "mini" size of 12.4cm high by 7.8cm square, it is well suited to smaller tables. 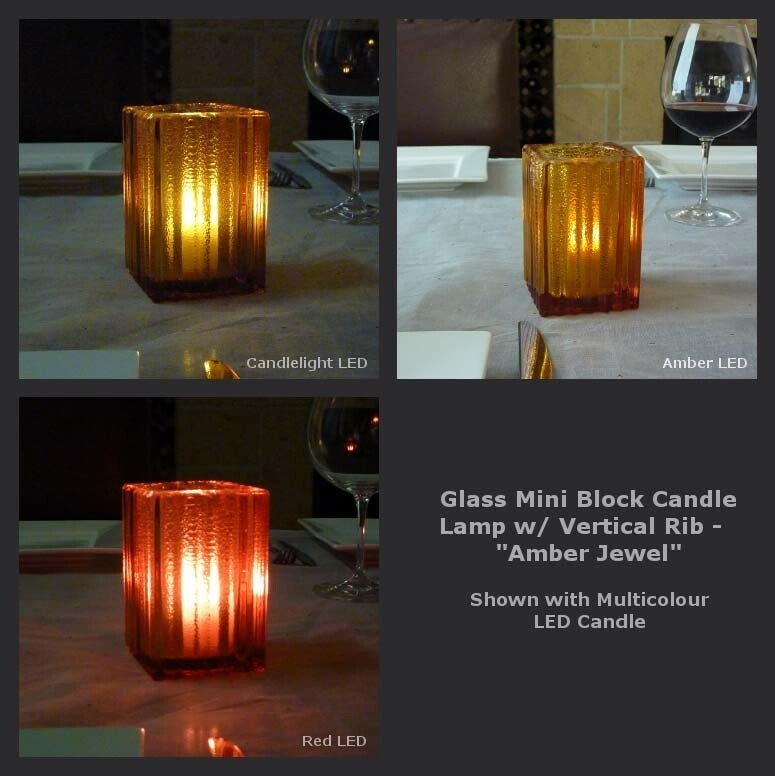 Choose between sparkling "jewel" finish in amber, red or clear, or go with a clear frosted finish for timeless elegance. Choose between sparkling "jewel" finish in amber, red or clear, or go with a clear frosted finish for timeless elegance. 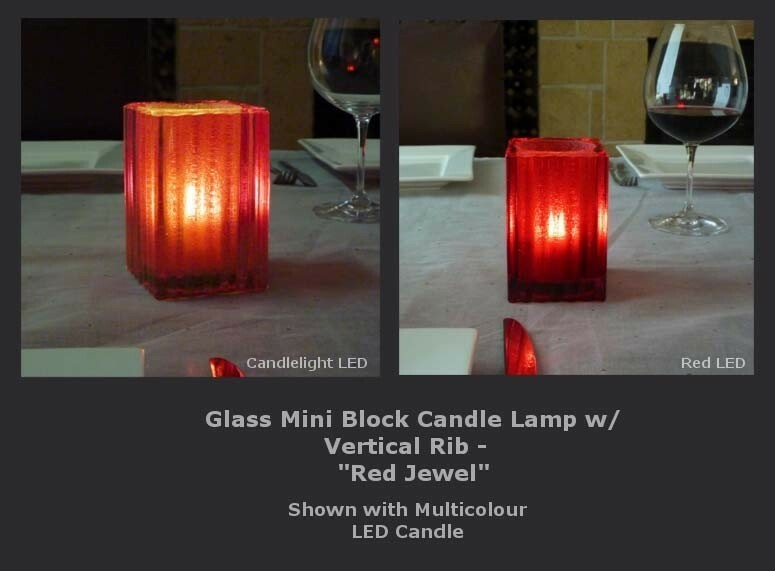 The jewel finish includes an inner textured layer, to create a dazzling sparkle when lit. 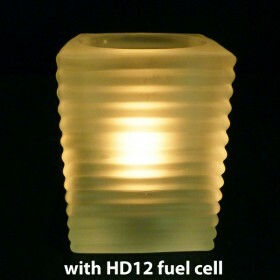 Ideal for our clean odourless Liquid Paraffin HD26 fuel cell. 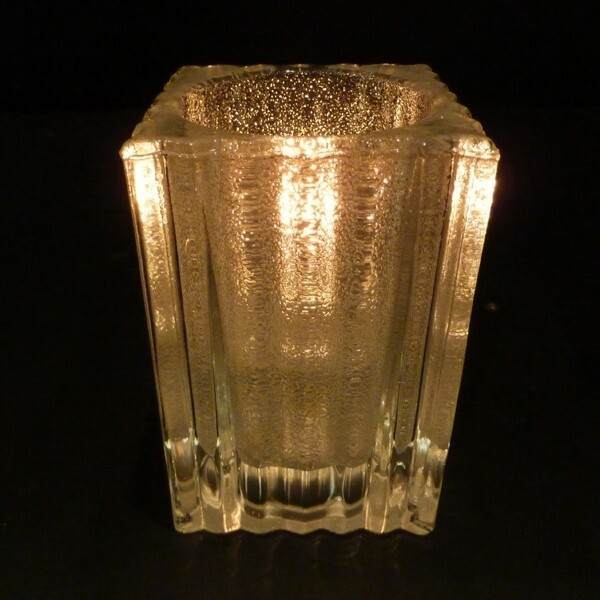 Since traditional wax tea lights are not recommended for this lamp, our liquid oil candles are the perfect way to ensure you still get the warmth and beauty of real flame. 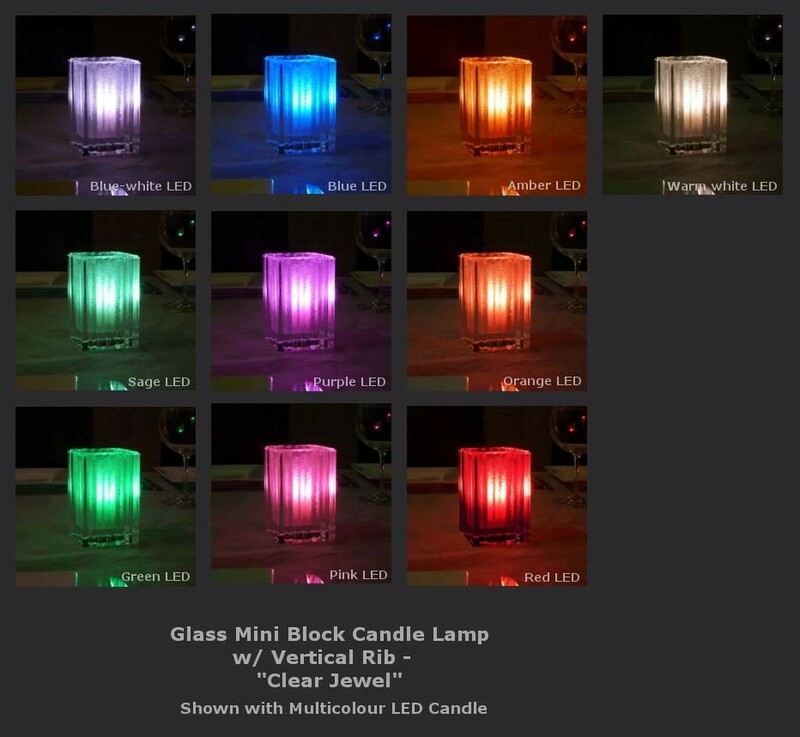 For the adventurous, our professional LED candles give access to a huge range of colours, so you can customise the lamp colour exactly to your liking.